Item 1, Shri Yantra A powerful amulet that brings wealth, prosperity & success. Made in Special Alloy. 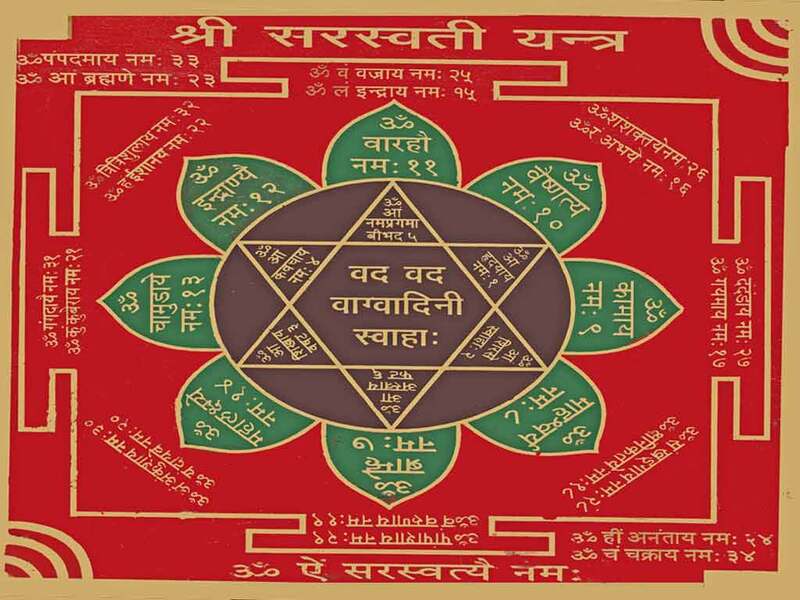 Item 2, Vashikaran Yantra For attracting love, romance & happiness in personal relationships. In Special Alloy. Item 3, Mahalakshmi Yantra For prosperity & wealth, representing the Goddess of wealth, Mahalakshmi. Made in Special Alloy. Item 4, Baglamukhi Yantra For overcoming enemies & protection from evil. In Special Alloy. 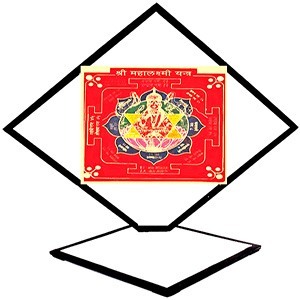 Item 5, Mahamrityunjay Yantra For good health, good fortune & harmony. Made in Special Alloy. Item 6, Gayatri Yantra For heightening spiritual awareness & ability to acquire knowledge. In Special Alloy. 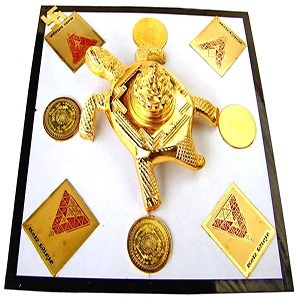 Item 7, Solid Shri Yantra This 3-D amulet is made of a special 8-metal alloy that represents different positive elements. The 3-D, solid shape projects greater power. For money, success, good fortune, happiness and harmony. 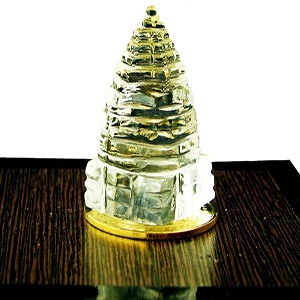 Item 8, Crystal Shri Yantra For money, success, good fortune, happiness and harmony. This 3-D amulet is made of natural crystal shaped into a 3-D, solid form, this increases the positive energy projected. 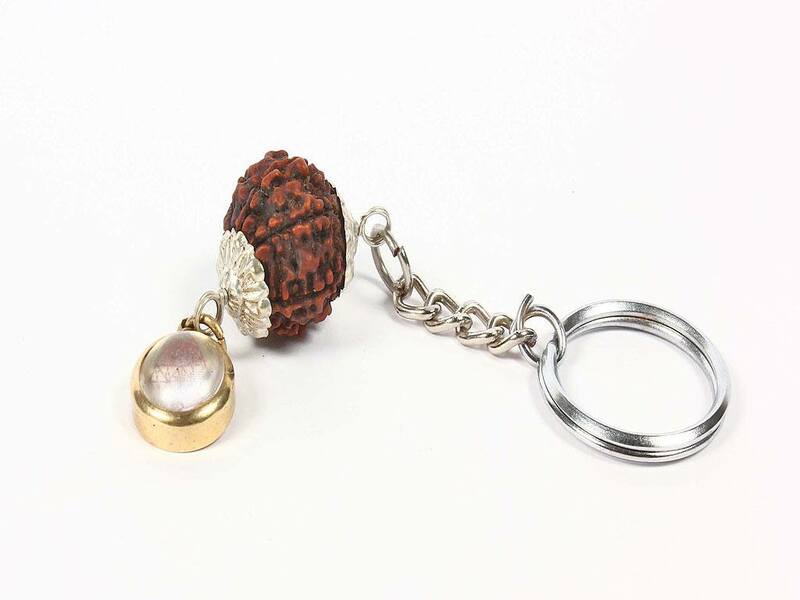 Item 9, Solid Shri, Tortoise & Mangal Yantras The Tortoise is the vehicle of prosperity and good luck. This one has a Shri Yantra on it's back and is in combination with other powerful amulets! Item 10, Solid Shri Yantra, Tortoise & a Swastik. The Tortoise is the vehicle of prosperity and good luck. This powerful amulet combines different talismans for money, harmony, success, good luck and happiness. Item 11, Durga Bisa Yantra For prosperity, protection & resolving problems. Representing the Goddess Durga. Made in Special Alloy. Item 12, Swastik Pyramid Yantra For Success & Spiritual Enlightenment. Made in Special Alloy. These powerful amulets are part of an ancient knowledge system and are still being used today to benefit people in different ways. These are fixed amulets that are to be placed in an appropriate place in your home or work place, from where they will positively influence your life. These magical lucky charms are based on spiritual and astrological knowledge contained in the ancient Vedic scriptures, adapted to make talismans and amulets to suit modern day needs. 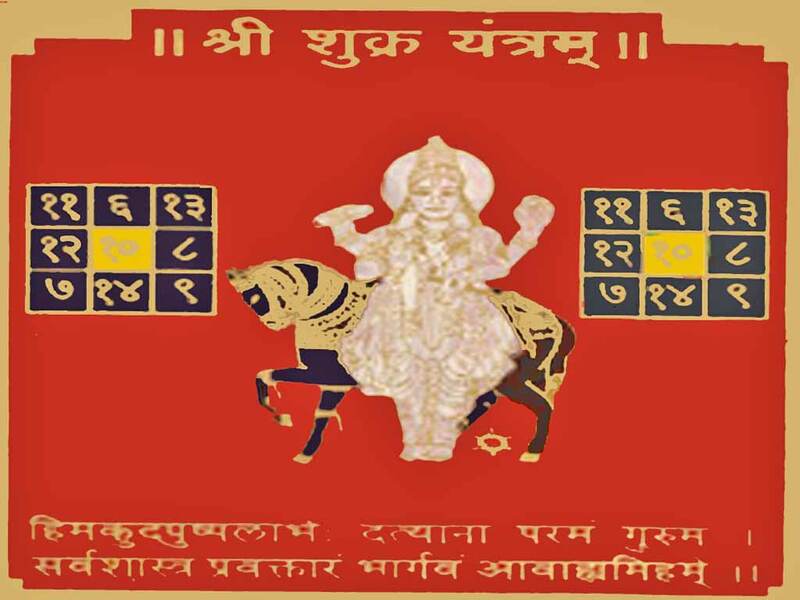 The *Special Combination Amulets will be specially energised in the name of the customer and will be sent along with the Yantra's corresponding Mantra MP3 and text files, which will be e-mailed FREE of charge. 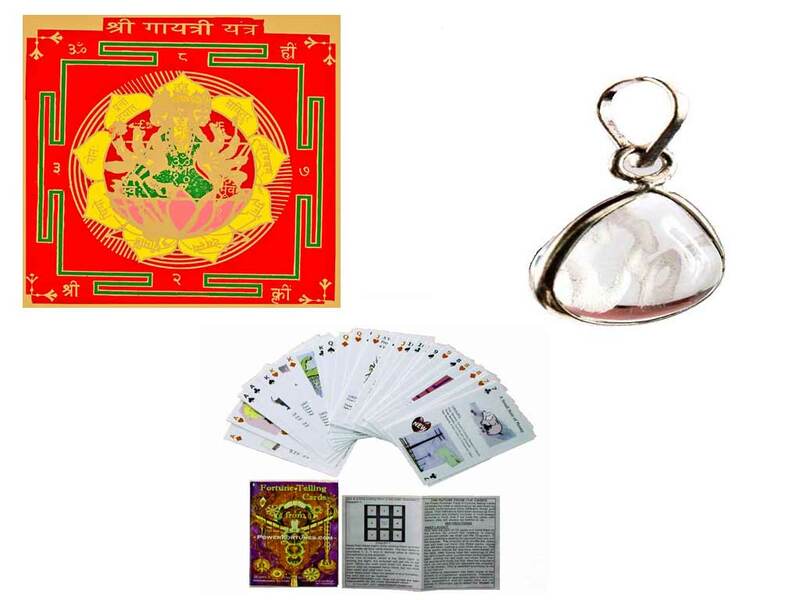 All talismans, amulets and luck objects shown on PowerFortunes.com are activated with positive energy, by our astrologers, before they are shipped.